Following the Blind Lady Through the Brick Wall | The Short Distance. Like most people my age, my body reminds me occasionally, that yes, I am 50+ years old. Last year, I had a neurosurgeon look at the four herniated disks in my neck tell me my MRI looked like that of a 75 year old… who’d been in an accident. Like a good, near- Octogenarian, I promptly ignored him. Despite some wear and tear on the body, I’m still 22 years old in my mind. In my fantasy world, I can still make hearts melt, shut down anyone alive on the basketball court, and party as hard as anyone on South Beach. Actually none of those were ever the case, but the fantasy has remained intact all these years. That is, it had been intact until I got slapped down to size by a contemporary. Gulp… she’s a woman. She’s also blind. I met Virginia Jacko, the CEO of Miami Lighthouse for the Blind, one evening at an awards banquet. She entered the pre-event cocktail reception with her seeing- eye dog and a colleague. She walked up to me, introduced herself, and after a brief conversation, we agreed to meet the following week. The Miami Lighthouse for the Blind is a little oasis tucked into a mixed commercial / residential neighborhood two blocks off of SW 8th Street in Miami (“Calle Ocho”). I met Virginia in her conference room and she shared her story. She had been an executive at Purdue University when she was diagnosed with retinitis pigmentosa. She began a frightening gradual loss of vision until she was completely blind. Originally a client at the Miami Lighthouse, she began to volunteer, then served on the board, and ultimately accepted the role of President. Virginia took me on a tour of the facility. I witnessed adults learning to cook, high school students recording music in a sound studio, and a class of young children preparing for a music program. I panicked during the tour, struggling to remain a gentlemen (opening doors), and not being patronizing. If Virginia noticed my anxiety, she didn’t comment. She was too busy talking to everyone she passed, offering encouragement, direction, or just a friendly word. What I witnessed was an organization that is run with managerial best practices to rival any middle market business. It is also a haven of support and training for the sightless that is changing lives. The Miami Lighthouse has several innovative programs that have an impact statewide and are being copied nationally. As I left the Miami Lighthouse that day, I regarded Virginia as confident. Classy. Smart. On a mission. 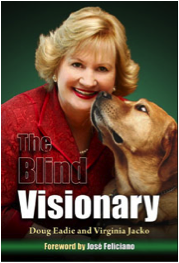 After reading Virginia’s autobiography, The Blind Visionary, I learned even more about what drives Virginia and has made her successful. Don’t give in to fear. Virginia described an incident where she was trying to adjust the harness on a new seeing-eye dog, lost her balance and fell off the seawall into Biscayne Bay. As she fell through the air, she didn’t know if she was about to hit the water at high tide, or crash on the rocks at low tide. She was fortunate it was high tide. After waiting for a witness to bring a ladder so she could climb out of the water, she went to her condo and was understandably shaken by the experience. When every fiber in her body wanted to stay in the safety of her condo, what did she do? She took her dog back outside and completed exactly what she started out to do an hour before. With the transformation from the sighted to sightless world, she had daily challenges where she could have easily given in to fear. Dealing with business executives, government officials and potential donors. Cooking and sewing for herself. The prospect of changing careers and failing. It would have been easy to quit – and retreat to a less visible role (pun intended!) than the face and voice of Miami Lighthouse. Moments of weakness and doubt are natural, but Virginia’s perseverance and her strength of will are powerful reminders to us all not to listen to the little voice that says “I can’t.” If I’m ever stuck in a bunker and fighting for my life, I want Virginia Jacko with me. What is fear preventing you from doing? Is the downside risk real or imagined? What would result if you persevered and pushed through the fear? Keep things in perspective. Even as you acknowledge Virginia’s inspirational story, it is hard not to focus on the challenges and disappointments in her life. But you meet with Virginia and are taken by her optimism and sense of humor. As I took the tour of Miami Lighthouse, we entered a room where young children were preparing for a music program. I noticed one small girl who sat on the floor, while her classmates stood. As I drew closer, I saw that she had no legs, malformed arms, and was sightless. She bobbed her head with the music, and grinned broadly. I think I was witnessing pure joy. As I confront my own challenges and setbacks, I have great examples now to give me perspective. What gives you perspective? Do you have a spiritual grounding to rely on? Are you involved with any individuals or organizations who remind you of the blessings that you enjoy in your life? Focus on making a difference in the lives of others. There is no question that Virginia’s life is very different than what she planned thirty years before. But when you see the impact that she is having on the sightless – and sighted – in Florida, it is easy to conclude that she is doing what she was meant to do. Through her leadership, the Miami Lighthouse is providing a higher quality of life for the sightless. It is delivering vision testing programs around the state for underprivileged children to potentially prevent blindness . She’s also ensuring that the Miami Lighthouse provides resources and information to the community at large. Are you giving your time and experience to help others? Who are you mentoring? Are you making a difference in someone else’s life? As you can tell, Virginia Jacko and the Miami Lighthouse for the Blind made a powerful impression on me. She makes me question what I’m doing to help others (and am I doing enough?). 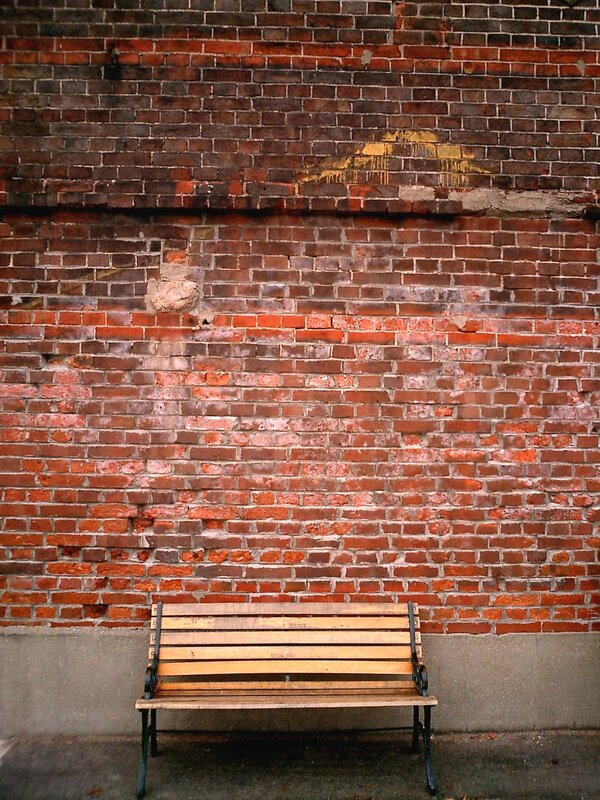 She also helps me see the brick walls in front of me and inspires me to go over, around – or right through them. Who gives you perspective? What about their story inspires you? Learn more about the Miami Lighthouse for the Blind. Congrats on the blog, Karl! And what a really inspiring story you’ve shared here. It certainly makes you think about the little – and big – things that we use as excuses. Looking forward to much more! Very inspirational and very true Uncle Karl. Wow, Carl, what a wonderful story! I just came from a memorial service for a person who didn’t always help herself, but positively affected the lives of others in ways I had no idea she had done. Your story of Virginia is a great reminder of “when life gives you lemons, make lemonade”, and how to get over oneself and be a blessing to others. Thank you for posting this story. Cathy – it always amazes me, the people that we think we know pretty well, only to find out about their stories, and the impact that they have. I’ll be sharing some of these people and their stories in the future. Hope all is well in Cincy. Congratulations on your first blog post. It was a wonderful read and very inspirational. I found your blog through Scoop.it and look forward to your future posts. Thanks so much, Linda. I appreciate the kind words. Bravo, Karl. Way to come crashing out of the gates with a winner! I’d expect nothing less, of course, but I’m impressed nonetheless. Virginia Jacko offers powerful inspiration, and your open-soul chronicle multiplies her gifts by sharing and dilating her influence, by compelling your new (and now quite expectant readers) to reflect on their own perspective, their own impact, their own service. Congratulations on a glittering debut! Thanks, George. It means a great deal coming from you. You’ve already blazed a trail as writer / observer, and you do it extraordinarily well. Karl…Very inspirational read. Not only is it good to read your blog, but to see how it depicts exactly what you wrote about. As I read down through your comments I can immediately see that you already have such and impact on all of your readers. It was a pleasure to read your blog and look forward to more in the near future. Sending our love and blessings from SC. WOW . . . that was really cool and extremely inspirational. I’m with you Karl. People like that really inspire me and in turn, I hope to pass that on. Keep doing what you are doing. You have a GIFT. Continue to share it. Steve – Your passion for hoops and for kids is impacting young people in Aspen and around the country. This gives you some insight into what I am passionate about – telling stories that inspire and lift people up. Thanks for your kind words. Karl, this blog knocked my socks off — great job! If you need an editor, call me. You were always one of my favorite writers. Karl, I loved this story. You and Virginia are both gifted. Great blog and I am so looking forward to the next entry. Ditto all I’ve read here. I’ve been fortunate enough to get a tour of the facility myself and while words can’t express all that happens there, you got as close as anyone can get. I’m looking forward to our future blogs. I agree completely, I went to the Miami Lighthouse, about 17 months ago I lost my vision, and my life finish I though, went to this school now I am going to College to get a Bachelor, and to inspired others to continue with their life, life is pure and beautiful, I learn how to start all over again, very hard, but i got the tools to be successful. Learn Braill, computers, how to cook, bake and so much more. they forgot, has been trying to push the city, the county to continue my project. work for the blind and vissually impaired. Hoping soon several Timers for interceptions, and sighs and enough ramps and accomodations for every body.